This is the last of my Sandy In Black And White series for now. I need to load my Holga with more Tri-x and wait for a rainy day. This is one of the latest business in what is known as The Junker Building. For reasons I don’t understand, businesses do not stay around for very long here. It makes me kind of sad. This thrift shop has been holding steady for several months though. Development; Stand developed for 1 hour in Adonal. 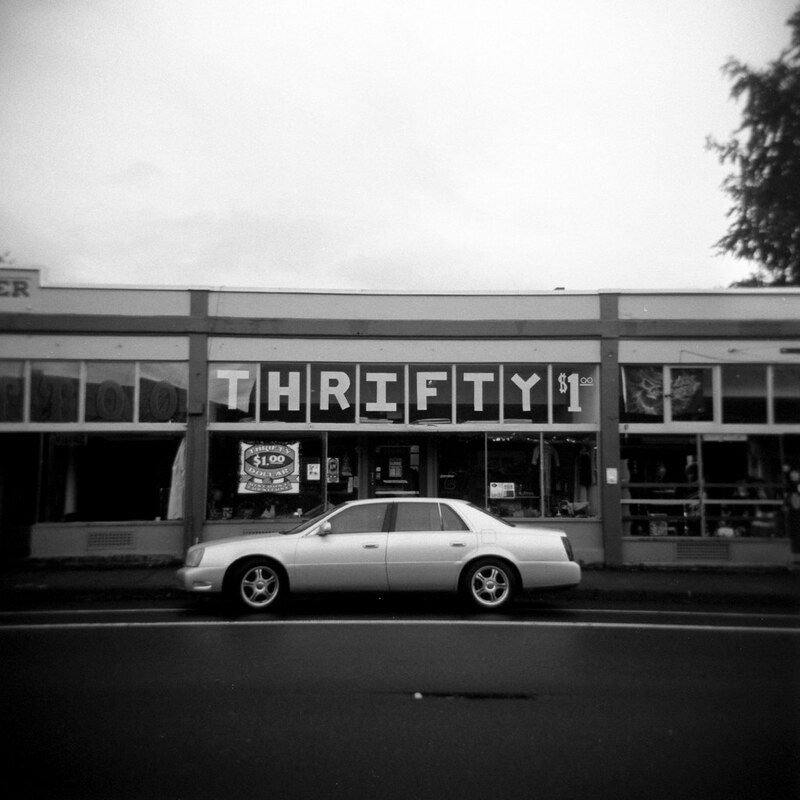 Continuing my series of photos taken in Sandy with my Holga in Black and White film. 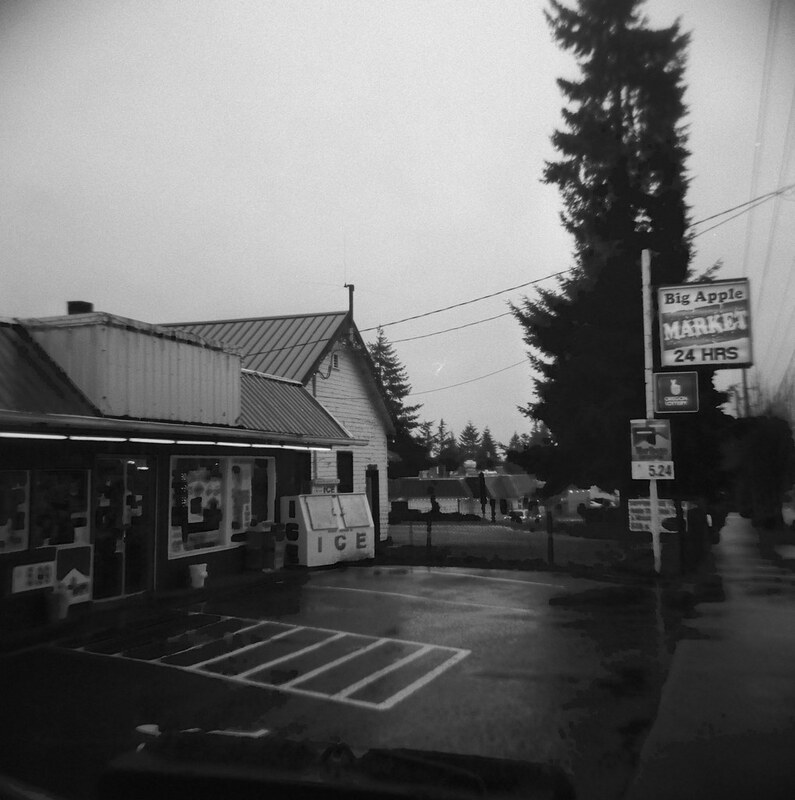 Here is the little market down the street where I get my potato chip fix in the afternoons on a rainy day. It’s got that kinda cool, run down feel to it. And it’s open 24 hours. At the end of last year – sometime in November or December (maybe even October) I was inspired to load my Holga with Tri-x and wander around town with it. It was a rainy day. I finally got around to uploading some of the photos this week and I kinda dig them. 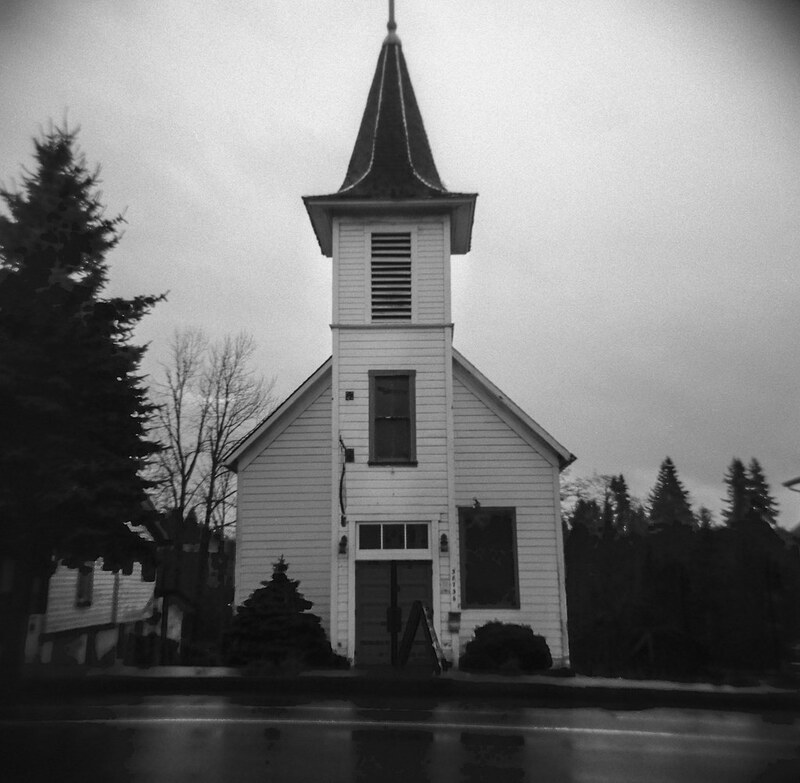 I am thinking that I will do a series of Holga + Tri-x photos in my small town. That combo + a rainy day work very well. And we certainly have lots of rainy days around here. I will post more of this series in the near future! Also: Can I just say that I really love my Holga. It holds such a special place in my heart. It was the camera that lured me back into this remarkable and wonderful world of Film Photography. I really need to give it more love. Development: Stand developed in Adonal for 1 hour.